A supplement will apply for travel from 14 June - 8 July and 20 - 30 September 2019. Located on the north coast of Mauritius, Sensimar Lagoon Mauritius is nestled in a beautiful tropical garden that opens onto the vast lagoon of Anse la Ray and the northern islands. Its typically Mauritian architecture and its contemporary seaside decoration blend harmoniously into nature. The hotel offers various accommodation options. The 141 rooms, decorated in a contemporary style, are set within a beautiful tropical garden, bordered by golden sandy coves, opening onto the vast lagoon of Anse la Raie. There are 7 pairs of connecting rooms available. 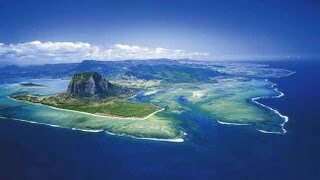 The 5 restaurants offer a variety of flavours and invite guests to discover the culinary riches of Mauritius. Recreational activities include Spa Attitude, diving centre, renowned kitesurfing school, managed by Club Mistral, one of the world leaders in the skiing industry, as well as Nauticaz, an educational and interactive centre dedicated to Richness of the Mauritian lagoon. Supervised by qualified and experienced Family Members. Nauticaz is equipped, among other things, with an aquarium, a laboratory and a puppet theatre on the theme of the sea. It offers various land and water activities. On the program: presentation of marine biodiversity, educational films, glass bottom boat trips, the discovery of coral reefs, the discovery of mangroves and swamps and their importance in the ecosystem. Nauticaz is at the disposal of the hosts, inhabitants and schools of the region, as well as to the Family Members of the group.